Имате въпрос към Gino Feruci Villa Ubud? Идеален за развлечения и отдих, Gino Feruci Villa Ubud се намира в Убуд, който е един от районите на Бали. Само на 32.9 km от градския център- това стратегическото местоположение на хотела гарантира на гостите си бърз и лесен начин за достигане до интересуващите ги точки на града. С удобното си местоположение хотелът предлага лесен достъп до всички градски забележителности, които задължително трябва да се видят. Съоръженията и услугите предлагани в Gino Feruci Villa Ubud гарантират Вашия приятен престой. Най-важните съоръженията на хотела са безплатен WiFi достъп във всички стаи, 24-часова охрана, ежедневно почистване, таксиметрови услуги, 24-часова рецепция. Като допълнение всяка хотелска стая предлага широка гама от удобства. Много от стаите са с телевизор с плосък екран, частен басейн, климатик, бюро, минибар, за да удовлетворят и най-изискания вкус. Хотелът предлага прекрасни развлекателни съоръжения, такива като открит басейн, закрит басейн, спа, масаж, градина, които ще направят престоя ви незабравим. Каквито и да са поводите за Вашето пътуване,Gino Feruci Villa Ubud е най-доброто място за престой, което можете да изберете в Бали. This 112 sq.m. villa is definitely worth the money. 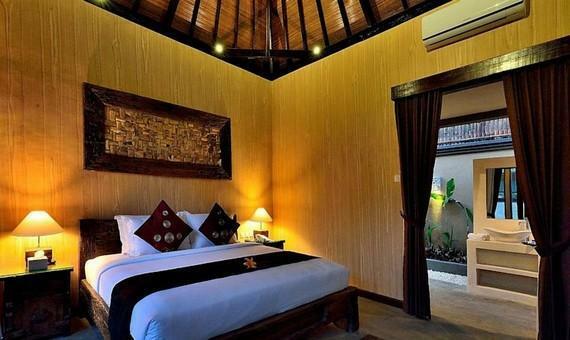 We enjoy our private pool, lying down on the lazy chair by the pool, open space bathroom with bathtub, and great bedroom with good sound system. Obe downside is it is not walking distance to town, but the villa has the service of motobike rental. We enjoy ourselves riding the motorbike and walk around the town. The breakfast is fine, not many varieties but we felt good probably of the environment. 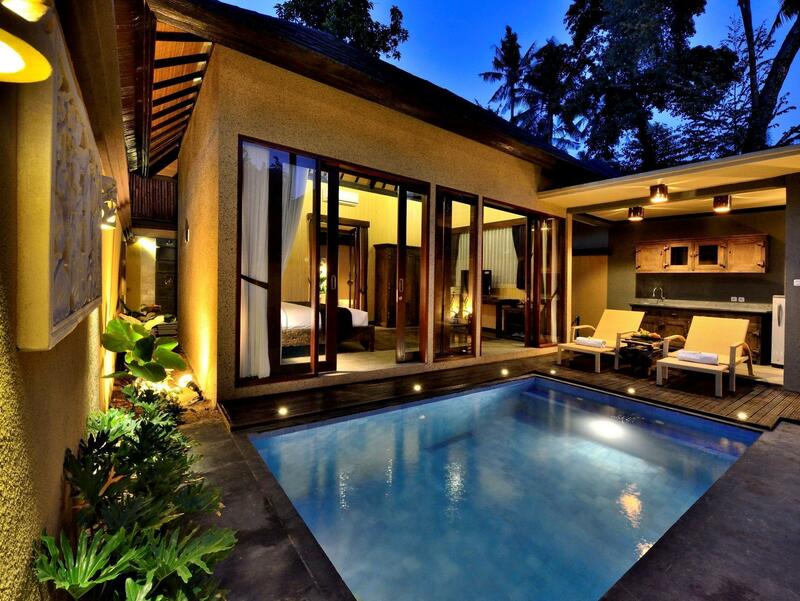 We really love this villa! this hotel room is so nice and clean.the staff here is very good ,they even decorate a very pretty decoration in our room ,really thanks them,my partner is very happy and surprise while we enter the room.will come back again on our next trip to Bali,and recommend to our friends. once again thanks the hotel all staff for make a pleasant memories for us . Service was good, fast and attentive. 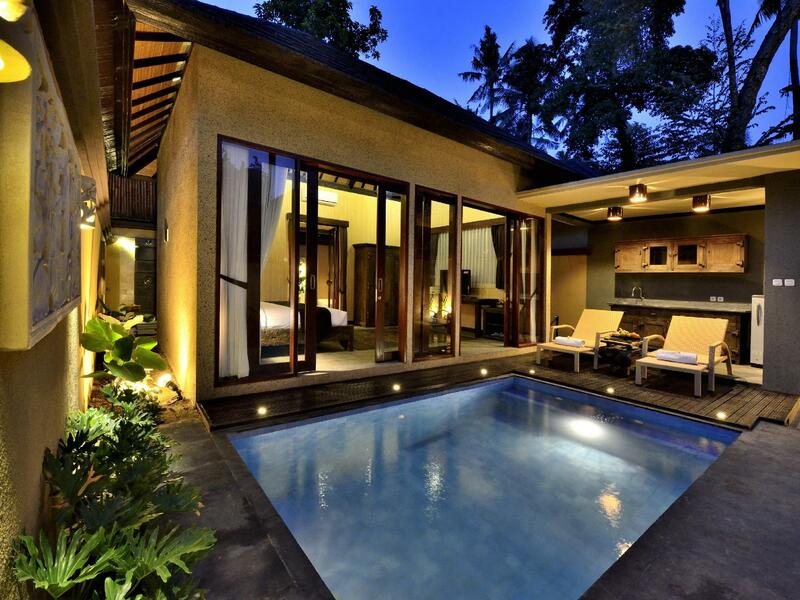 Location wise is within few minutes drive from Ubud centre. They do provide free shuttle to Ubud at 10am and 5pm one way. Would be very helpful if they extend this service. Love the private pool, clean and nice to soak in after a tiring day. Also love the outdoor rainforest shower and nice bathtub. Fantastic staff, very accommodating. We had asked last minute for a flower bath and bottle of wine in our room around 8pm and it was no problem at all. Beautiful villa, would definitely recommend! In house facilities seemed to be taken back like cutleries n plates. Breakfast only serve at room only now and very limited compared to price of the villa. For me if u reduce the service u might reduce the price also. 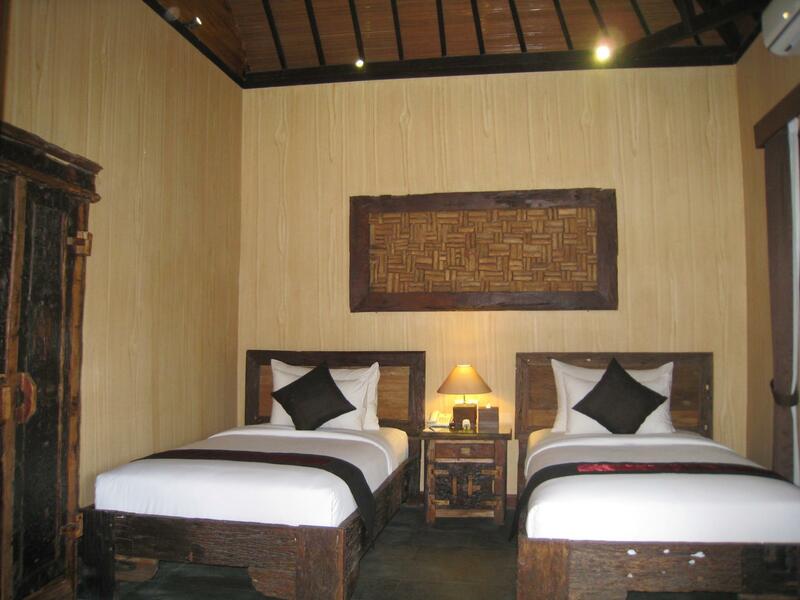 It all started when I booked a room for a night in Gino Feruci Villa Ubud for honeymoon. I booked the room for February 15th 2017 through a well known website in the middle of December 2016. On the D-day, I arrived at Gino Feruci Villa enthusiastically because according to the review, this is an excellent hotel. My wife and I were really keen to stay there. Strangely, as soon as we arrived at Gino Feruci Villa, the receptionist had unilaterally cancel the booking and refer us to another hotel. They said that this referred hotel is another Gino Feruci's villa and we should go there because the hotel is currently under construction. Curiosly, there are a lot of guests right there on the moment and I couldn't see any renovation. The receptionist even said that they are actually incur losses because of the renovation which actually really did not relate to us at all. We were amazed because how come a hotel with a pretty expensive rate could have a ludicrous policy like this? We were highly disappointed with this but since they give no choice, later on we went to the referred hotel. Surprisingly, when we arrived at the referred hotel, they asked for apologies because the room was not ready yet. They said, it was only booked last night by Gino Feruci! We were more upset when the staff said that this hotel does not have any relation with Gino Feruci, not in accordance with what the Gino Feruci Villa's receptionist had said previously. Moreover, the referred hotel had a very cheap price compared to Gino Feruci Villa. I can give a screenshot of the price comparison between two hotels from a renown hotel booking website if you are curious. So, Gino Feruci Villa cancel my booking unilaterally and give a way cheaper substitution. I only want to give a warning to all of you who wants to stay in this hotel. I just don't want this miserable experience happens to any of you. For Gino Feruci Villa, thank you for giving an unforgettable memory in our honeymoon. Dear Guest Warmest Greeting from Gino Feruci Villa & Spa Ubud. Thank you for having chosen our villa as one of your holiday destinations. We really appreciate your kind review and Our management apologizes for any inconvenience during the stay in Gino Feruci Villa & Spa Ubud And we will remain committed to always concerns and focus on what is the problem to give the best service. We are striving to improve our quality and service and therefore your review and feedback are needed and highly valued. We would like to thank you for having stayed with us, and we all look forward to the opportunity of again welcoming you back to The Gino Feruci Villa Ubud Bali. Best Regards, All Staf & Management, Gino Feruci Villa Ubud. This villa is located in LohTunduh , 2km before central Ubud, its surrounding by super old and big Tree, the bathroom is open air. Its looks okay during the day (noon) but when the night comes the place turns to a creepy place. I cant go to the toilet becaus the lizard(the big one) was enter the bathroom. And i don't think i can go to toilet when night seeing the big tree and old tree right in front of me, up and left. Theres only 2 staff in midnight, no housekeeping,no bell boy, no room service. Shower is broken. Omg, i booked 2 days,but check out after 1 night stat. Will not coming back!! This is not my first time here. Love the privacy. This time no more buffet breakfast and they serve to room. Room amenities also getting lesser as no shampoo etc provided like my first time here.. Hope the management can improve on this. This isn't the luxurious getaway-type place: rather, it's a quaint retreat in the middle of nature and gardens. The villa we stayed in was small, greatly needed maintenance in the pool and bathroom area, but the bedroom was beautiful. It's not so far out of town though definitely not walking distance - we rented a motorbike for 70k/day from them. The breakfast is not very good so I don't suggest you include that. Overall however we had a great stay as it's relaxing to wake up to birds singing, and the staff are really nice.